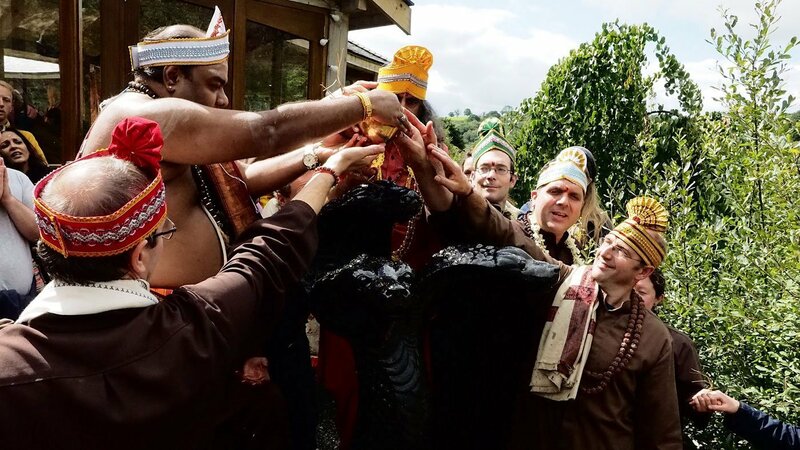 Photos from the recent installation of the Nagaraja murthi at Skanda Vale, with a discourse from Mohanji. Nagaraja is primarily about protection. When they go to another loka they will take the form of a ferocious being in that place. So in this plane they usually come as snakes. Why? Because we don’t go and hug snakes! To save themselves from people and other beings they use this form. 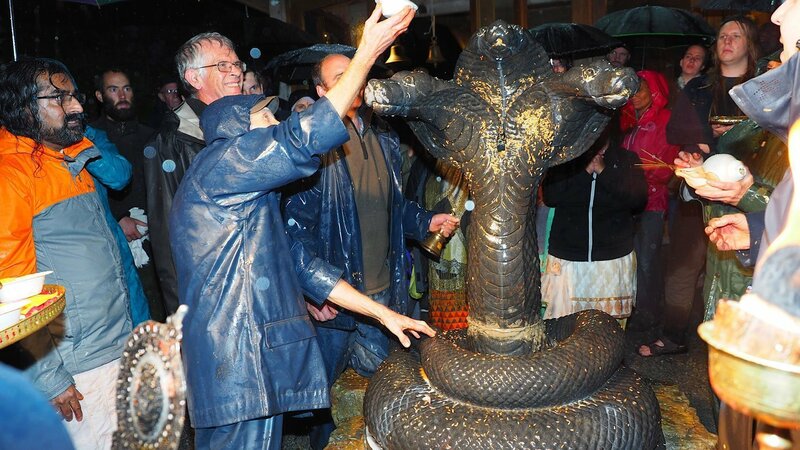 So Nagaraja is primarily protection. His aim is protect from the negativities from entering this zone. The area gets protected. I would also like to say that wherever Dattatreya is, various celestial beings come. Wherever you have installed Dattatreya, celestial beings spontaneously start visiting, so the energy of the place becomes great. Much higher than normal. Nagaraja has two connections. One is lineage. It represents lineage; what you have inherited from the past, because we are not just this existence. The lion’s share of our karma is what we bring from our past lives, but another portion is brought from lineage – inherited karma. This is mixed together, like milk and water, so it’s very difficult to say which is which. These two are mixed. The snakes represent that karma which is from the lineage. 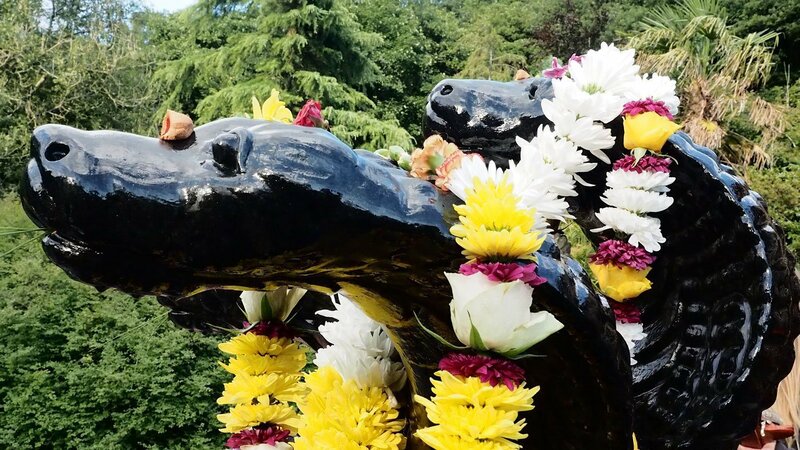 When people talk about ‘Kala Sarpa Dosha’ – the curse of snakes, the dosha (the negativity) is all connected to lineage, not necessarily from our Prarabdha, our past lives. It’s almost always lineage – ancestral. Comes to you. How does it manifest? Mostly as problems in relationships. Children, education, all those kinds of things. 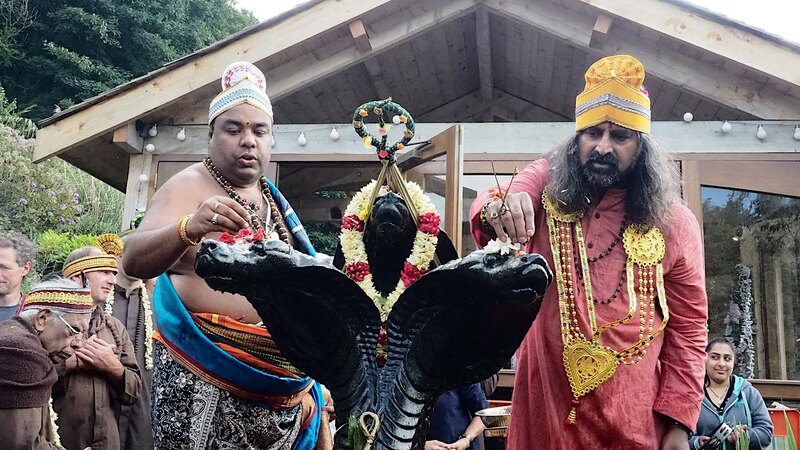 When you are connected to these snakes, or when you are in tune with the Naga Loka, it reduces the weight of the lineage karma. Secondly, it reflects in the mind. Mind is connected to it. Its usual reflection is in the mind and skin. Allergies and skin issues – all those things are usually connected to snakes. Thirdly, the knowledge part. 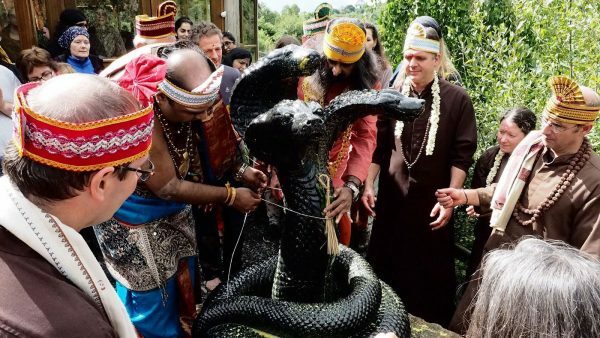 You look at any images of Patanjali; half portion is snake. So Patanjali is probably not from Earth. You know, he would probably have come from Naga Loka. A lot of beings come from other worlds to here and they impart knowledge. But don’t think that all the beings coming from other worlds to here are benevolent. Some of them are like our scientists – they are coming to experiment. But there are beings who are very highly evolved. They come here and they deliver. They give knowledge. Snakes have been giving us knowledge – if Patanjali is from Naga Loka then that one example is enough. 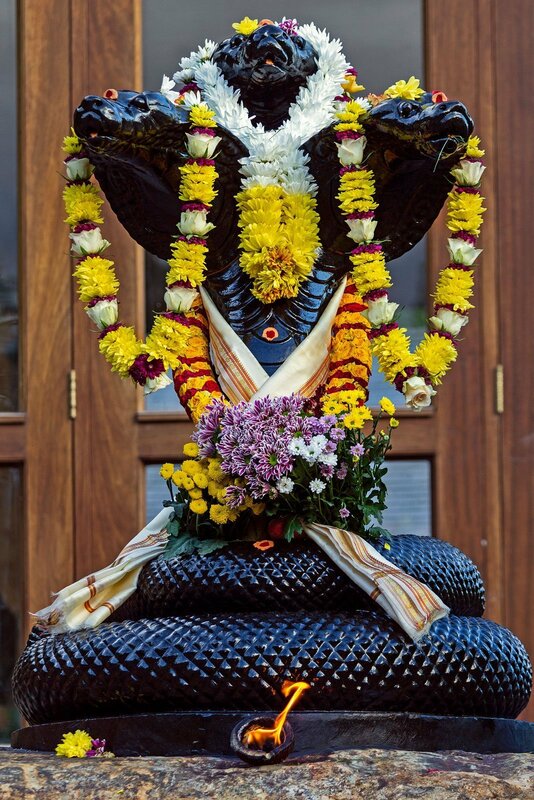 Complete knowledge about Yoga Sutras, including states of samadhi. What more do you need? That one text is enough for you to attain the highest possibility. They have a great role to play in our lives. You can see Shiva as Takshaka, Karkotaka, Shankapala, Kulika, Padma, Mahapadma Vasuki and Shesha – the Ashta Nagas – all Shiva. 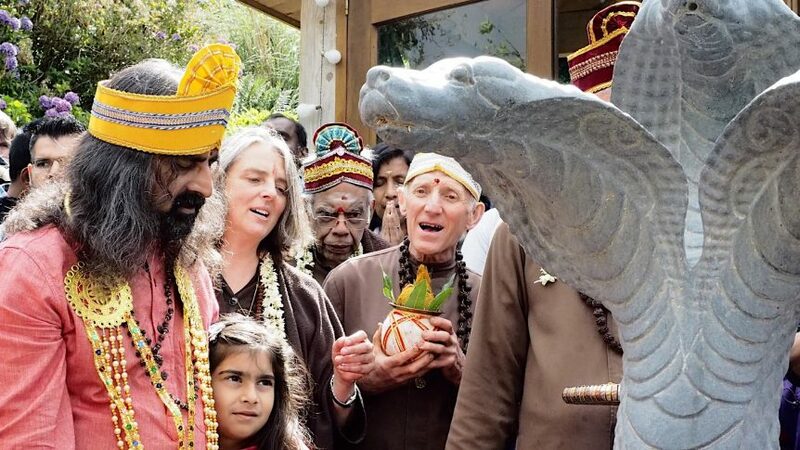 All the powerful, poisonous beings Shiva is wearing. Naga Bhushana, right? Shiva is wearing all of them. Mahavishnu is lying on Ananta. Infinity. In Yoga Nidra – in tune with the cosmic consciousness. You see the connection? 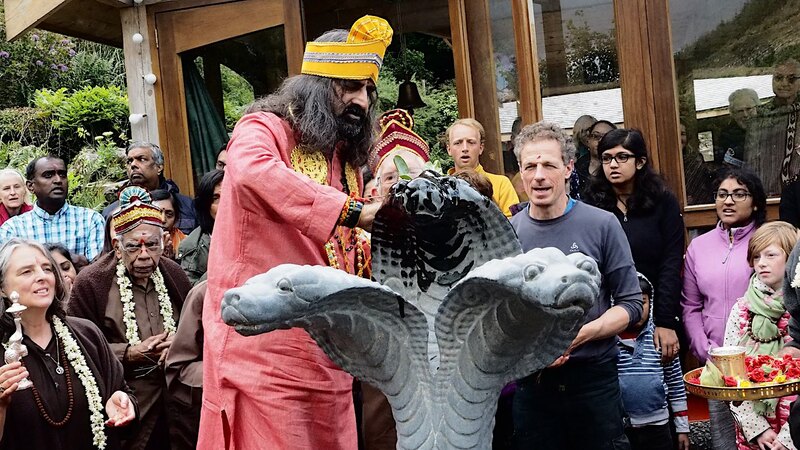 Most probably all of this knowledge, including the states of consciousness, such as Shiva and Mahavishnu – all this was probably delivered by Nagas. That’s why we see Nagas in most everything. We see a representation in everything. That means they would have probably imparted it. We don’t know because we’re very ungrateful people isn’t it? When we get something we take it and we destroy the source, right? Then we say it’s mine. Time and again we have seen that in history. We never respect the real teachers. We take them for granted. As far as possible we crucify them. Then no problem! We can interpret their teaching in the way we want. The same thing happened to Nagas. That’s why we have Naga Dosha. This whole subject of Naga Dosha started there. Ingratitude. Ungratefulness. That’s the one point where we have this whole astrology… it’s all about ungratefulness. When we don’t have gratitude, all this comes.